Police say thousands of factory workers accused of looting and vandalism during the protests have been fired, but unions have accused the industry of intimidation and a crackdown (Photo: MUNIR UZ ZAMAN/AFP/Getty Images). 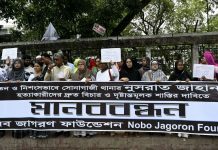 Nearly 5,000 low-paid Bangladeshi garment workers stitching clothes for global brands have been sacked by factory bosses for joining strikes over wages this month that turned violent, police said Tuesday (29). Thousands of labourers walked out of factory floors across the country in days-long protests that disrupted the $30 billion industry and saw police fire rubber bullets and tear gas at demonstrators. 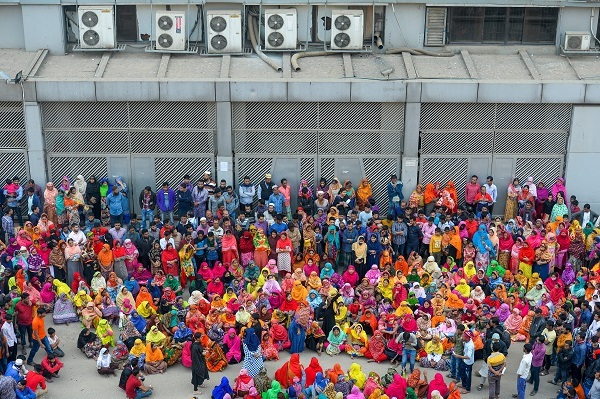 More than 1,200 garment workers whose wages start at $95 a month, were dismissed from a single factory. Police were deployed in a bid to break the strikes, which only ended when the government agreed to a paltry pay rise as little as a few cents a month for some workers. 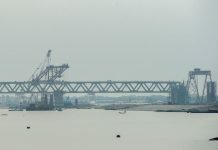 “The fact remains that, even after recent amendments, workers in Bangladesh still earn poverty wages,” said Ben Vanpeperstraete, from the Amsterdam-based activist movement Clean Clothes Campaign, on Monday (28). Hasina who won a landslide victory disputed by the opposition has been accused of increasing authoritarianism in the South Asian nation of 165 million.